We know that ambient music is all about creating a certain atmosphere, generally a tranquil, peaceful one. This is even to be found in dark ambient, just in a different (darker) way. Good ambient music seems to change the very environment in which it is being played, or at least how our minds perceive that environment. There’s no doubt it improves brain function, and I don’t need no brain doctor to tell me that. I can feel it, eh! But this doesn’t mean, as many ignorant outside listeners assume, that the ambient music genre doesn’t have room for a variety of disparate and interesting styles. There’s a lot of fascinating and challenging music under this umbrella — vastly different ways of achieving a similar end. I’ve covered a lot of those styles on this blog, and here’s another ambient style that happens to fit nicely with another of my recent posts, on early music. 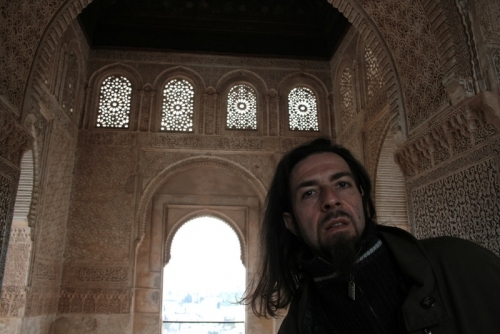 Alio Die (Stefano Musso) is an Italian ambient composer/sound artist who has been releasing albums since the early 1990s. He’s covered a lot of territory and utilized various styles, and utilized them all well. In terms of sound art, which is easily the most popular ambient subgenre these days with cool people, he could be seen as something of a trailblazer. His discography is far too vast to detail in a single blog post, but fortunately, I’m particularly fond of one strain of his work. On several albums he has combined his talents for evocative ambient sound art with the sounds of early music, meaning pre-Baroque European music. The ancient melodies and styles of early music, it turns out, lend themselves particularly well to ambient, and Alio Die clearly knows exactly what to do with them, combining ambient electronic textures with field recordings and early music samples in beautifully textured looped pieces. The effect on the listener is very interesting. I’ve got a lot of early music in my collection, and as I noted in my previous post, one of the pleasures of this kind of music is being transported back in one’s imagination several hundred years to a very different, more natural world. 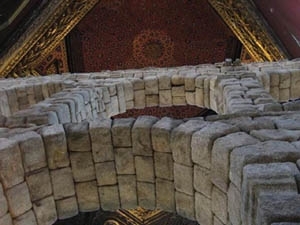 Since a lot of early music is liturgical, that means visions of monastic courtyards and gardens, which is about as tranquil a vision as one can have. Combined and looped with ethereal ambient sound art, that effect is only enhanced to a hypnotically soporific level. And there are hardly any ambient musicians who can spirit me off to my spacy happy place like Alio Die does on these recordings. His entire discography is well worth exploring and is widely available, but if you want to hear something really distinctive, I suggest starting with these truly beautiful albums. As a fan of both early music and ambient, they were a revelation for me. 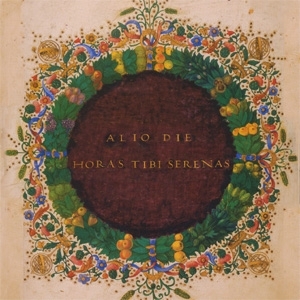 This album is part of a three-album series with Horas Tibi Serenas and Tempus Rei. The aura of this is indeed seminal, for in these two suites Alio Die parts the curtain of hundreds of years and transports us back to a vision of an idealized pre-Industrial past. The three-part “Sine Tempore” is comprised of heavily treated Renaissance vocals and bowed instruments, mixed with subtle synth augmentation. “Aura Seminalis” is dreamier and takes the sounds of several kinds of early music instruments, smoothing them out into two perfect drone pieces. Small fragments of melody pop out here and there, but the tranquillity of the drone is never lost. 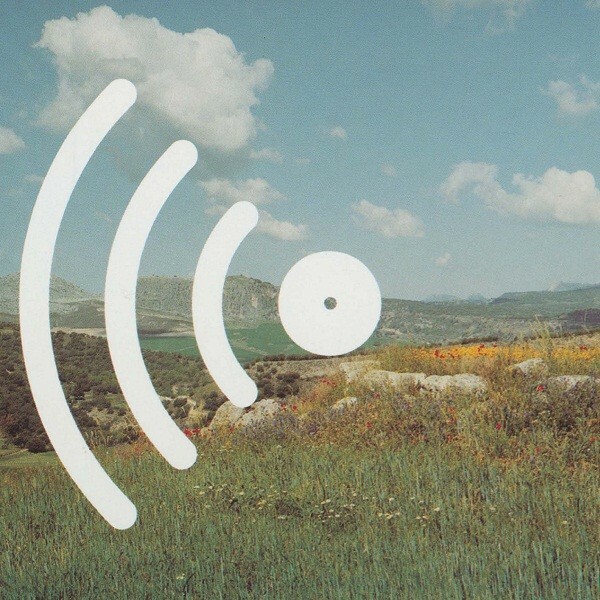 A truly masterful ambient music recording. This absolutely magic album consists of three pieces. The first, the title track, is monastic, featuring eerily manipulated polyphony and the ringing of a church bell. A perfect mood-setter. The 43-minute “In the Labyrinth Garden” is based around a bowed instrument (Theorbo-lute? Viola da gamba?). Not sure what it is, because his website doesn’t contain info on the sources. It’s accompanied by an ethereal recorder and augmented by field recordings of wind blowing through foliage. I’m not sure a piece could sound any more … content. Rounding things off, the 33-minute “Ultima Latet” also is based around the swirling sounds of bowed instruments, this time with heavily reverbed, manipulated early music vocals. This album is a stunning, perfect realization of an artistic vision and should not be missed by either ambient or early music fans. The two-part Tempus Rei is perhaps the most difficult listen among these albums for the uninitiated (ie easily bored). The album is comprised of two long pieces. Part I is based on the source material of a bowed instrument, looped. The sounds of vigorous wind blowing through trees accompany it, and are eventually joined by Die playing a zither and some watery sounds. While the piece does go through several permutations, it’s basically a hypnotizing drone, so if that’s your cuppa, you will love it. Part II just picks up where the first left off, with the same samples but different nature sounds, this time more nocturnal. While there’s a lot less variety over these 70 minutes than the other albums I’m discussing here, if you’re a true ambient drone fan you’ll find plenty to like about it. This is not part of the three-album series but fits perfectly with it. 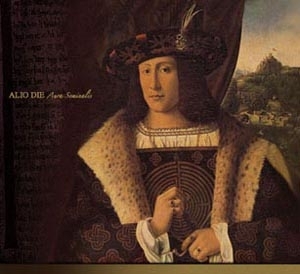 Die uses the source material of Quoniam Ensemble di Dulciane, playing the music of Renaissance composer Claudio Merulo. 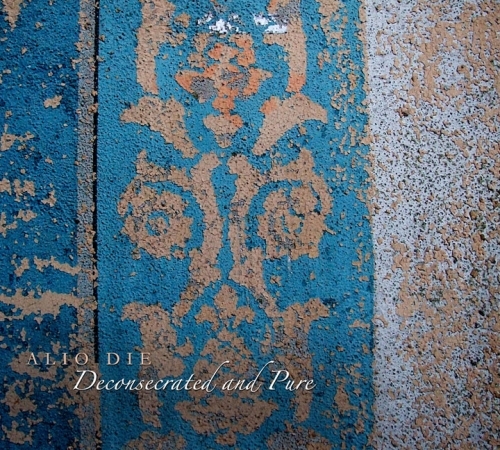 On this album Alio Die has manipulated the sounds even more into a spider’s web of shimmering ambient tones, in which the source material is occasionally clear but is cushioned by layers of electronic goodness. There’s also some charming use of small percussion, bells and suchlike. There’s a wonderful delicacy to this music, like a good wind would just blow it away, so you’d better appreciate its ephemeral charms while they’re around. Fortunately, that’s an illusion and thanks to Alio Die’s boundless creativity, we can enjoy this and his many other albums whenever we like! I will definitely check this music out! I’ve enjoyed your pieces about early music especially. Just a note, the theorbo is not a bowed instrument, it is plucked like a lute. That track sounds almost definitely like a viola da gamba, with recorder and organ. Thank you for introducing me to some interesting stuff! Thanks! Well, at least I might have been sort of 50% right. I should have reckoned that a theorbo-lute would be plucked. Thanks for the information! Just listened to Horas Tibi Serenas. This was my introduction to early music (I’m also planning on checking out some of the stuff from your intro to early music post) and I was very impressed. I will continue to investigate Alio Die’s work further. Thanks so much for this post; I would probably would have never heard of this man’s music if it wasn’t for this blog. Thank you! This is the reason why I do this wee hobby! If you like that early vocal polyphony stuff as heard on the Alio Die albums, you can’t go wrong with any album The Hilliard Ensemble did for the ECM label, but particularly their Lamentations of Jeremiah. I will check that out ASAP! Thanks for this article about one of the undisputed all time greats of the ambient genre, Alio Die. I’m right there with you, fascinated by the albums you mentioned especially. There is also a track on “Tempo Magico” called “The Circular Development of Time” that has a gentle, medieval dance that is slowed down and processed so hypnotically and fits right in with these albums. Highly recommended listen though it’s just an isolated, exceptional track. As opposed to having enjoyed a heyday and then tailing off, Alio Die just keeps getting better and better. I play these albums, or at least one of them, at least once a week. Mr. Musso is a favourite! Thanks for the comment.